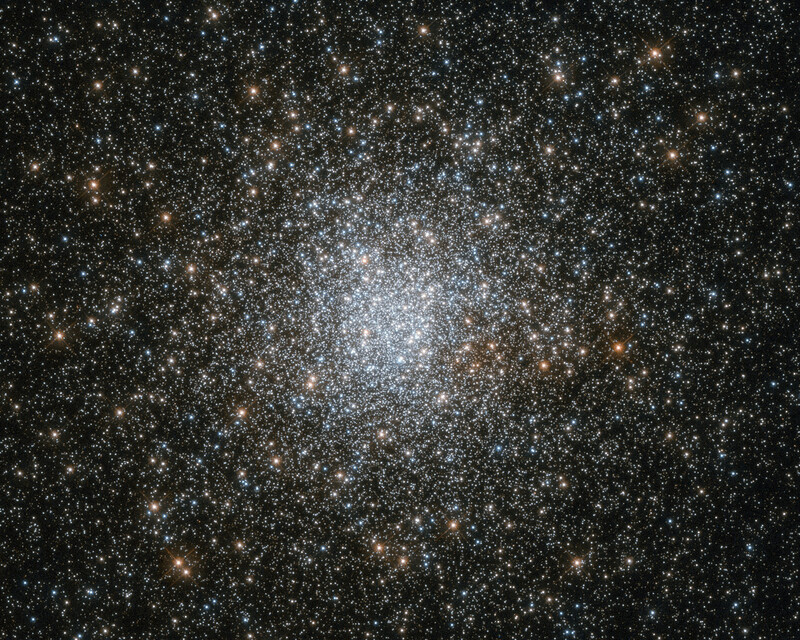 This rich and dense smattering of stars is a massive globular cluster, a gravitationally-bound collection of stars that orbits the Milky Way. Globular clusters are denser and more spherical than open star clusters like the famous Pleiades. They typically contain hundreds of thousands of stars that are thought to have formed at roughly the same time. 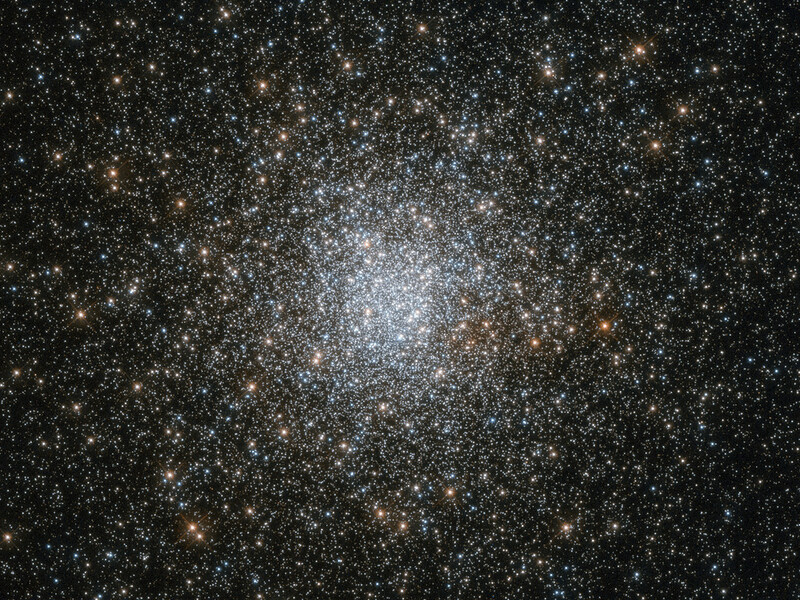 Studies have shown that this globular cluster, named NGC 6139, is home to an aging population of stars. 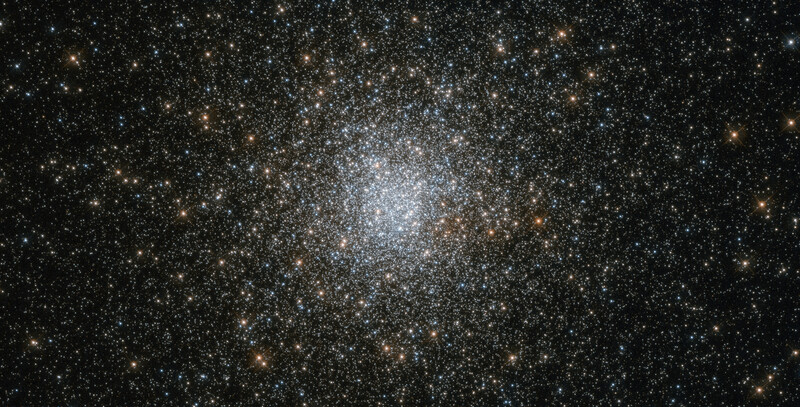 Most globular clusters orbiting the Milky Way are estimated to be over 10 billion years old; as a result they contain some of the oldest stars in our galaxy, formed very early in the galaxy’s history. However, their role in galactic evolution is still a matter of study. 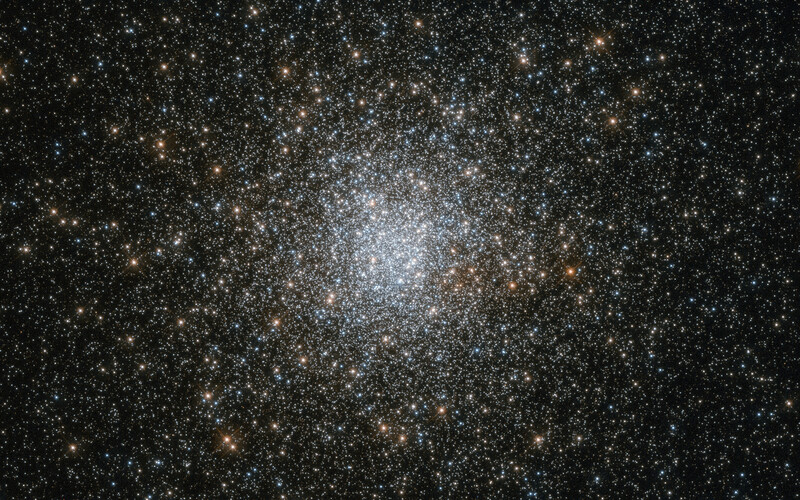 This cluster is seen roughly in the direction of the centre of the Milky Way, in the constellation of Scorpius (The Scorpion). This constellation is a goldmine of fascinating astronomical objects. Hubble has set its sights on Scorpius many times to observe objects such as the butterfly-like Bug Nebula, surprising binary star systems, and other dazzling globular clusters. Position (Dec): -38° 50' 55.19"